Posted originally on Carina’s LinkedIn page on 1st April but too good not to share with the world! The hospitality industry is delighted that the government has finally made the decision the sector has been crying out for for years. VAT in independent restaurants has been slashed to 12% effective from today 1st April 2018. This dramatic turnaround brings the United Kingdom in line with the majority of our European neighbours. (The rate is still above that in Italy where they have decided to keep their reduced rate for 2018 at 10%) The news has come at a critical time for the sector with rising food costs, increases in Business Rates, uncertainty around recruitment post Brexit and the rapid recent growth of chain restaurants increasing supply to unprecedented levels. Aligned with this news, is the agreement to pay the real living wage at £10.20 per hour. The government has also placed a ban on tips bringing the sector finally into the 21 century and removing the black/grey economy around tipping. Average full time salaries will now start from £24,000 per annum. Hospitality employees are thrilled with this change of strategy. The changes to VAT allow the sector to directly pay their employees the level that reflects their skill and their long term commitment to hospitality. Importantly this will give them the quality of life to support their families, especially those living and working in city centres. The bold move to ban tips sits comfortably within the sector and has been led by several high profile Michelin venues. Danny Myers of The Modern Restaurant and Shakshake in New York shocked the industry 4 years ago when he announced his non tipping policy. It’s a great step towards changing the mindset and shifting the perspective of the service sector. With automation threatening the workforce in future generations this move will be essential to maintain the momentum of quality, health food while continuing to develop sector skills. Catering and hospitality will now be seen as a serious profession where sustainable career choices can be made. Serving the public is one of the most challenging roles. It requires care, commitment, compassion, long unsociable hours, knowledge and tremendous energy to deliver true and genuine customer service. This wage strategy will attract the skill base who want to deliver culturally and commercially the standards that the UK want to set expectations to compete with their European and American quality food career focused colleagues. It is hoped that these changes will also be introduced into the social care sector. IF ONLY THE ABOVE WAS TRUE THE HOSPITALITY SECTOR IN THE UK WOULD BE FULL RATHER THAN AN APRIL FOOL. Full of talented career driven individuals, full of busy independent restaurants and fully supporting a wider community of artisan producers living in rural communities. It’s a no-brainer. This strategy would lead to a more vibrant community that is seen as a world leader in healthy food innovation while supporting the health and well being for it’s workforce and ultimately would contribute to a better society. I’ve been doing a little recruitment recently. I was surprised, yet again, that many of our competitors are still endorsing undeclared cash tips. I find this so frustrating as it automatically puts my team at a disadvantage. We run a Tronc system. Where all tips are pooled and shared based on hours worked. Everyone gets the same proportion regardless of role or service length. These tips are subject to income tax but not subject to National Insurance. If we were to add a service charge such as many of the chains do this would be subject to VAT, NI and TAX but it could be managed and distributed by the restaurant owners. Our system is managed by the team. Within the industry there are three systems of tips distribution. The big boys version of adding a service charge which allows them to control the tips income and sharing usually only part with the team. This often penalises the team who are working. The undeclared version. This penalises the rest of the sector who are paying their tax contribution. By removing tips (and this black/grey economy) completely, reducing VAT and allowing restaurants to pay their teams at a rate that would attract talent it would be a game changer. Removing the black/grey economy of undeclared and unequally shared tips and paying this massive workforce direct would support higher income tax revenues, higher pension contributions and could support a higher direct NHS tax contribution. Reducing the VAT rate to 12% would have many advantages. Most importantly it would allow restaurants to pay their teams the rates of pay they deserve. The living wage increase to £7.83 per hour that is being introduced today will hurt many restaurants. Price should be going up to reflect this added cost but in a market that is flooded with supply it’s risky business to even think about passing on any cost to your customer. Last week we launched our £15 (2 course) £19 (3 course) Market Menu in all venues. Best value ever for our best food ever. The food sector is conflicted. Did you realise that frozen ready meals are zero rated so automatically they are 20% less than a restaurant experience. When adding the cost of servicing the real cost of a restaurant meal is massive. In addition supermarkets sell ready made meals at discounted prices to encourage us to shop with them. They are not looking after our health and wellbeing by providing food that is healthy and quick to eat. They sell food cheap but good food deserves a good price. Ready meals are confusing our pallets by lacing these dishes with high levels of salts and sugars which are ultimately causing huge long term health issues that are crippling the NHS through rapid rises in diabetes, obesity, etc Many of the chain restaurants package their food in such a way as it is seen as healthy. But they too are incorporating processed food that not only are bad for us they are bad for the environment. (I’ll write this article another day but read “Joanna Blythman Swallow This” book for some of the answers). If we were to tax these foods higher and lower the tax on good food it would increase the market for the healthier option. Locals abroad eat out lots because it is cheaper. They are healthier. They are more connected with the food chain they are therefore more engaged with their health. Our good restaurants are too highly taxed so they are a treat rather than a regular. 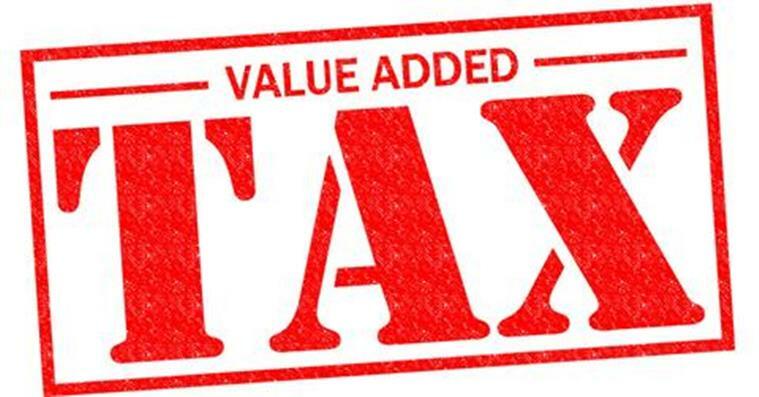 VAT at 20% only benefits the taxman. It’s the independent restaurants that are cooking food from scratch. It’s the independent restaurants that are buying local and supporting artisan suppliers. It’s the independent restaurants that are innovative. It’s the independents that nurture and develop skills that encourage healthy cooking – nothing will be microwaved or reheated from a dish that was prepared a week ago in a factory in Bradford. You may not have realized, as marketing can confuse the best of us, chains make their margins by preparing food on mass in their centralised kitchens. They deliver frozen and prepackaged from depots not from farms or artisans. The cost to the environment is massive and the cost to our health is very tangible. Taxing independent restaurants less will supports our rural economies. The drive to buy local is supported by the independents not by the chains. Each March, Suzanne (Executive Chef at Contini) and I meet with all our suppliers and look at what new lines are coming on stream, look at pricing, renew contracts and generally have a chin wag, a gossip and a catch up. We’ve known these people for years. Some years times are good, others not so good. What was truly remarkable about our conversations this year was what they are all calling “The London Quarter Effect”. Despite the influx of all the new restaurants coming to the city, particularly in St Andrew’s Square, with over 1000 covers already added to the cities dining scene, NOT ONE of our suppliers supplies these venues with any one product. We’ve been flabbergasted by this. Our meat and fish suppliers – nothing. Our vegetable suppliers – nothing. Our dairy suppliers – nothing. Our chemical and consumable suppliers – nothing. Our waste suppliers – nothing. Our buying choices (£3m per annum estimate) more than ever will be making a difference to our local supplier community. Yes the cities hospitality sector is thriving and I’m very happy and proud to say we’re doing well but it comes with an awareness that we have to give more and deliver better every day. Our recruitment and training is far more intensive that ever. We want our team to stay longer than ever so they get to know you and look after you better than ever. Our relationship with our suppliers is far more important than ever. We want them to support us with the best products and prices so we can share that with you our customer so you feel we’re delivering better value than ever. Our relationship with our key suppliers is also vitally important as it allows us to nurture our smaller suppliers. Good prices from the big boys allows us to choose the small boys too. Our relationship with you our customer is far more important than ever. We know there are 100 more places where you can choose to have your coffee, lunch or your celebrations. Let’s have a food system that’s sustainable, not an April’s fool. We need a hospitality sector that’s full of healthy and happy customers, healthy and happy staff, and healthy and happy good food businesses and suppliers serving them. Happy Easter. This independent restaurant (our three venues are all different and there are no chains on us) truly values your support. Thank you for choosing our independent business as we value your choice as do our team and our community of suppliers. Grazie, Buona Pasqua and happy April fools day too!